This LET THERE BE LIGHT has been deeply implanted in me by the Holy Spirit for this new year 2018, and this is my theme song for the year also. LET THERE BE LIGHT, OPEN THE EYES OF THE BLIND, PURIFY OUR HEARTS IN YOUR FIRE, BREATH IN US WE PRAY, JESUS HAVE YOUR WAY. There is only ever darkness where there is an absence of light, you can not turn on a darkness switch, you must first turn off the light to get darkness. 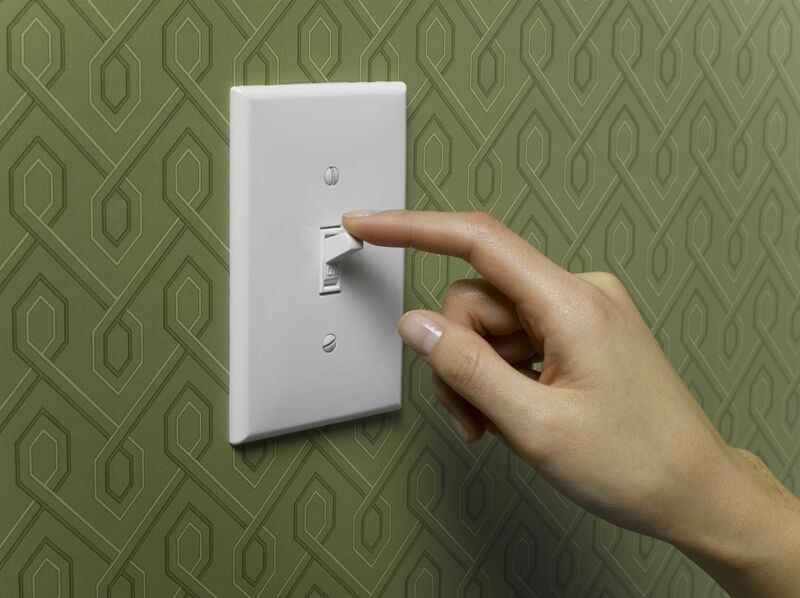 notice…its a LIGHT switch…not a dark switch. So lets look at the first time the light was turned off and darkness came into the human race. But I am afraid that, even as the serpent beguiled Eve by his cunning, your minds may be corrupted and led away from the simplicity of [your sincere and] pure devotion to Christ. Beguile basically means TO DECEIVE, by lying, cheating, or any kind of trickery. God said, FOR IN THE DAY THAT YOU EAT OF IT…..YOU SHALL SURELY DIE. satan says to Eve…..can it really be that GOD said…you shall not eat from every tree of the garden? It always comes in the form of a question, DID GOD REALLY SAY? DID GOD REALLY MEAN?????????????????? So the serpent satan says to Eve…..YOU WILL…NOT SURELY DIE. A COMPLETE CONTRADICTION TO WHAT GOD HAD SAID, THEN SATAN TELLS HER ALL THE GOOD THINGS THAT WILL HAPPEN IF SHE EATS. SO SHE EATS, AND THE LIGHTS GO OUT AND DARKNESS AND DEATH ENTERS THE HUMAN RACE. When Jesus comes He is called THE LIGHT OF THE WORLD AND WHEN WE ACCEPT, REPENT (HAVE A CHANGE OF MIND AND HEART) AND BELIEVE ON HIM, THE LIGHT THAT WAS LOST IN THE GARDEN COMES BACK ON AND THE DARKNESS IS NO MORE. Paul was fearful that even as satan beguiled Eve in the garden by his cunning, your minds may be corrupted and led away from the simplicity of [your sincere and] pure devotion to Christ. Led away from the simplicity that is in Christ, if it wasn’t simple and easy to understand….I WOULD NOT BE A BELIEVER TODAY. Many today want and do make Christ so very complicated and hard to understand, so much confusion, and questioning about doctrines and blah blah blah. I have listened to some people (but not for long) drone on, and on, and on, and then am wondering WHAT ON GODS GREEN EARTH WERE THEY TALKING ABOUT, AND WHY? READ THE WORD, LET THE HOLY SPIRIT TEACH YOU, LET HIM BE THE REFEREE IN WHAT IS TRUTH AND WHAT IS ERROR, STAY WITH THE SIMPLICITY THAT IS …IN…CHRIST. DON’T LET ANYONE REGARDLESS OF THEIR POSITION OR POPULARITY BEGUILE YOU AWAY FROM ….DID GOD REALLY SAY? OR ANY OTHER FALSE GOSPEL THAT PROMISES YOU WONDERFUL THINGS. Mathew 24 will continue this year and until the end of time, but where there is light, there is freedom, and there is NO DARKNESS. SO LET THERE BE LIGHT, OPEN THE EYES OF THE BLIND, PURIFY OUR HEARTS IN YOUR FIRE, BREATH ON US WE PRAY, JESUS HAVE YOUR WAY. AND REMEMBER ……. THE DARKNESS HAS ….NO….POWER OVER THE LIGHT….SO SHINE ON THIS YEAR.